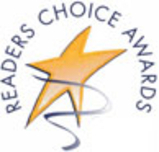 thank you for Rating us Readers choice awards 17 years in a row! Trinity Optical Dispensing Opticians carries name brand prescription and non-prescription eye wear and contact lenses. We offer these at competitive prices and provide a high level of customer service by Scott Sullivan our optician. Established since before 1950, We carry specialized protective eye wear for athletes and industrial workers. Inside, there is a seating area with a selection of magazines for customers who are waiting to be fitted for glasses or while glasses get repaired. On Saturdays there is a "fashion" Consultant to help pick out frames and for a second opinion on purchasing new frames.